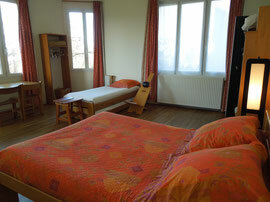 When was the last time you slept in a bed designed and handcrafted by your host ? 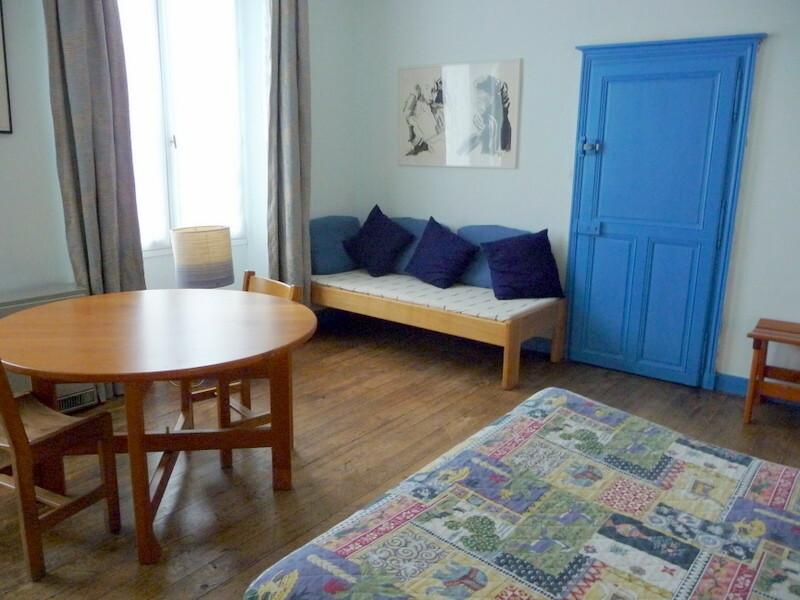 Indeed all the fourniture in this lovely home is the work of Aain as are all the artworks. 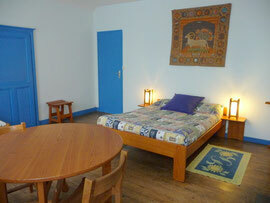 As to the furnishings, they show the creative flair of Isabelle, and combine to make a harmonious and relaxing whole. 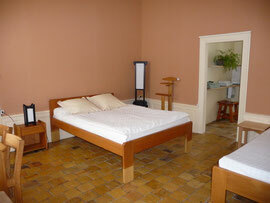 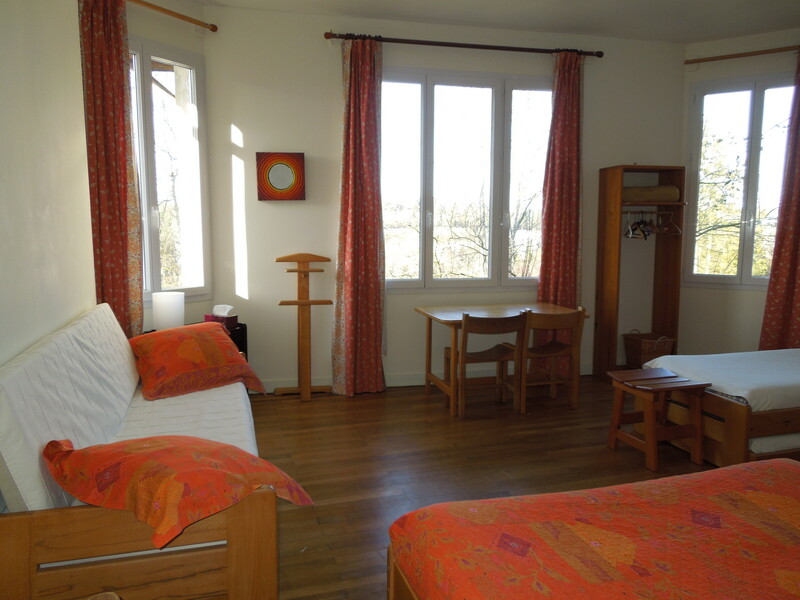 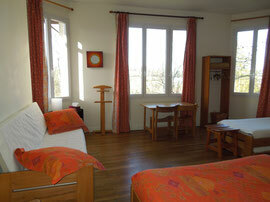 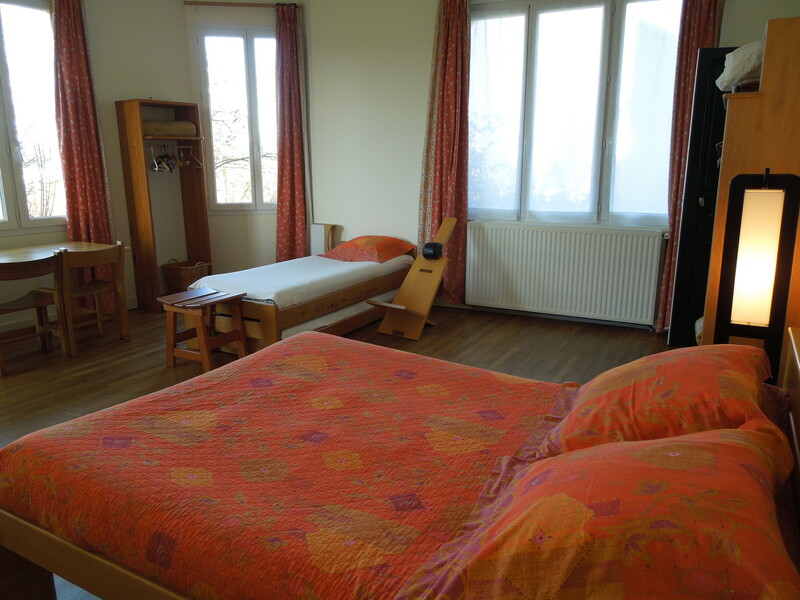 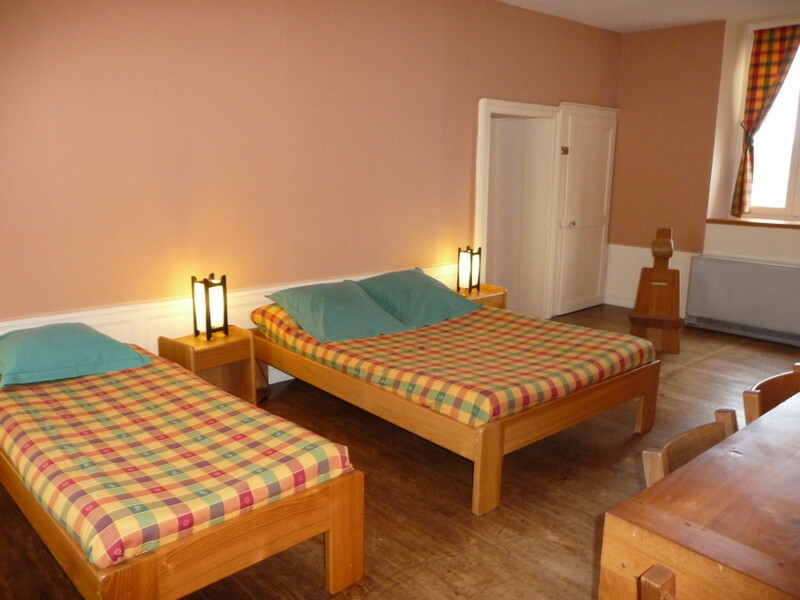 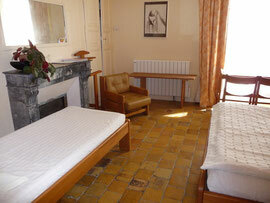 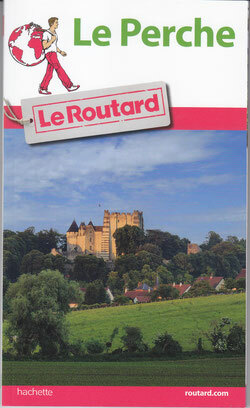 1) "Chambre aux coqs and chambre coté tour) Suite of 2 rooms with bathroom which can accomodate up to 7 people. 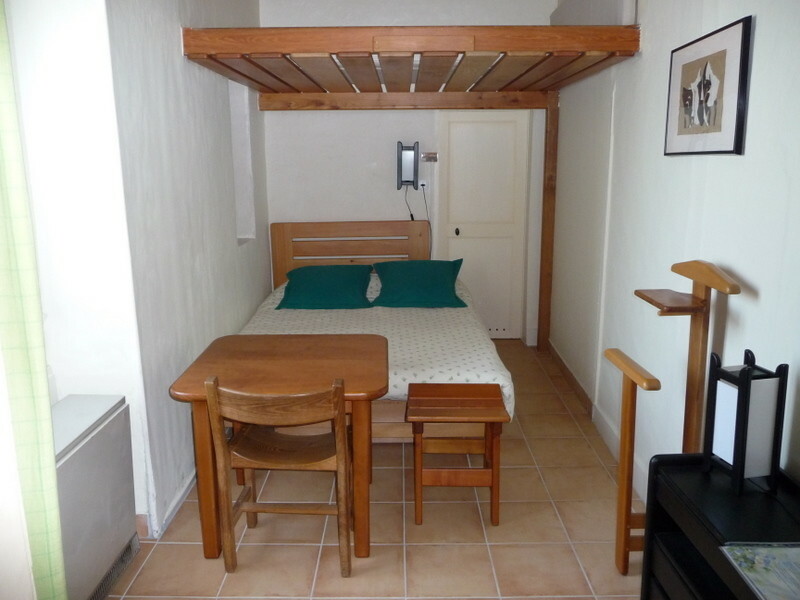 4) "Chambre la cabine" room for 1 or 2 with bathroom. A large round table can sit 15 people which is ideal for a family meal.